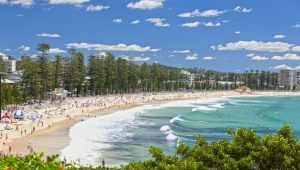 A magnificent new multi-day walk in Sydney, heading between Bondi in the south and Manly in the north, is tipped to become a major tourist attraction – with some saying it could eventually rank with the world’s top walking trails, such as Cinque Terra in Italy or Camino de Santiago in northern Spain. The walk will differ from those because it is urban. It’s tipped to highlight Sydney’s history, including its indigenous people, the arrival of the First Fleet and the building of the Harbour Bridge and Opera House. The partnership to create the Bondi to Manly Walk was officially announced in Sydney last Sunday, 25 November 2018 – supported by local, state and federal governments. 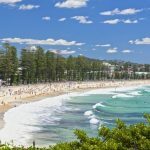 The walk will use waymarking signage to link all existing coastal and harbourside walking tracks between Australia’s two most famous surf beaches, Bondi and Manly. It just requires some explanation and promotion. In a way, it’s surprising no one has thought of it before. The City of Sydney, Mosman Council, North Sydney Council, Northern Beaches Council, Waverley Council, Woollahra Council, Property New South Wales, the New South Wales Office of Environment and Heritage, the Sydney Harbour Federation Trust, and Bondi to Manly Walk Supporters – all are committed to working together to create the Bondi to Manly walk. When completed, the new walk will stretch for about 80 kilometres around the foreshore of Sydney Harbour – entirely on existing public land, including footpaths. The walk will pass the Opera House and cross the Harbour Bridge. City of Sydney Lord Mayor Clover Moore said making it easier for people to walk “improves public health, enhances city liveability and strengthens the local economy. “It’s also a bonus to have somewhere beautiful to walk! This new walk will trace our beautiful Sydney Harbour from the southern entry to the Harbour Bridge, through to Circular Quay, the Royal Botanic Gardens, Woolloomooloo and Rushcutters Bay Park, through streets in Potts Point and Elizabeth Bay. It will be a wonderful addition to our city”.